It’s the day before the USMLE Step 1 exam, and your stress level is at an all-time high. You’ve spent weeks studying every tiny detail and here you are, approaching exam day, and your mind is already going blank. There’s no way you’ll be able to get a full night of sleep – you’re nauseated, dehydrated, unfocused, unconfident, all of the above! Chances are, you’re about to make a major exam-prep-mistake that you could easily avoid. Students tend to make mistakes in their preparation or study regimes in the weeks or days leading up to a high stakes exam, which could hinder their performance, costing crucial points. Med students aren’t an exception to these common errors; in fact, they’re often the example. 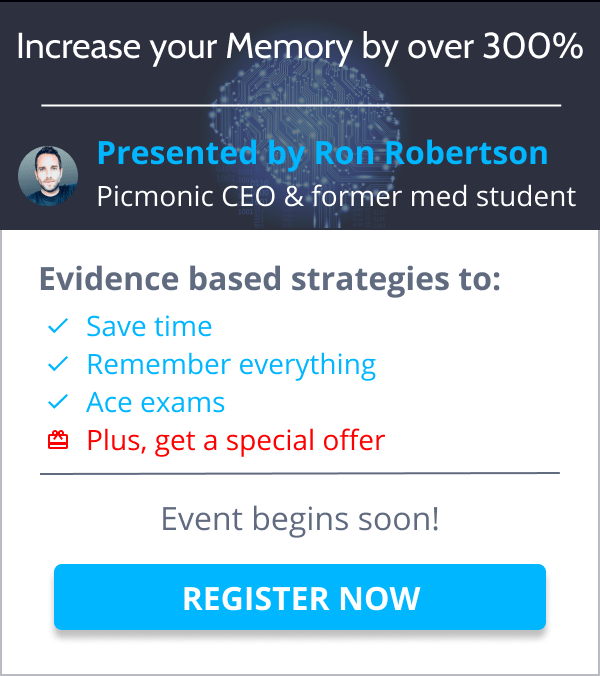 Picmonic helps you learn the information and retain it better. Combining it with the habits listed below are the best way to set yourself up for success. The USMLE Step 1 is arguably the most paramount exam in medical education, and every single point counts on the big day. So what bad practices should you cut out of your routine to ensure your best performance on game day? This first mistake is so easy to avoid, you can literally do it in your sleep (bad pun). You should aim for seven full hours of sleep each night during the week before your USMLE Step 1 exam, so you’re fully charged on the big day. Sometimes it seems like the solution to gaining more study time is sleeping less at night, or taking more naps during the day. But research shows, this is far from the truth. Sleep is important throughout your entire study schedule because your circadian rhythms (which influence your sleep-wake cycles, hormone releases, and other bodily functions) can take a few days to set into a rhythm. Don’t wait until the day before the exam to make the switch to a healthy sleep schedule. If your exam begins at 7am, but you normally wake up at 10 am, start setting your alarm an hour earlier every day and going to bed an hour earlier every night. This will ease you into the practice of waking up at 6am to be alert and focused by 7am. Check out our other tips for getting good sleep during med school here. Ask any marathon trainer if you should run a marathon the day before your event, and they’re going to give you the same answer: you’re crazy. Training is all about being ready, not being done. So don’t cram the day before the test! If you’ve been studying 14 hours a day for weeks, start to taper down to 10 hours a day, then to 8 (which is the approximate length of USMLE Step 1). Cramming increases your anxiety levels, and it’s more important that the time you spend studying is effective. Research shows that studying the day before the exam hurts you, because it crowds your short-term memory with last minute info that can interfere with long-term memory retrial or bias your decision-making skills. For example, if you study diabetes the day before the exam, your mind is naturally going to lean towards diabetes-related answers. Moral of this story: take a full day off to give your brain a break and don’t cram! Just because your career depends on the USMLE Step 1 exam doesn’t mean you should lock yourself in the library for weeks straight. Get out! Start partaking in some light exercise in the morning. You don’t want to rigorously exercise at risk of building up lactic acid, but increasing your heart rate with aerobic exercise is advantageous. This will release endorphins, giving you a better perspective and more confidence. Plus, it’ll help you sleep better at night. Try walking, light jogging, cycling, or hiking. Try to spend a little more time outside during your study routine as well. You’ve probably been staring at your book or computer or tablet for weeks now, so give your eyes a breather! Find an open space where you can enjoy the view and allow your mind to relax for a bit. As a demonstration of your determination and willpower, you may have already given up television throughout the duration of your studying. Good for you—almost. It’s great to practice focus, but sometimes you need to take a little “me” time. If you enjoy watching television typically, don’t deprive yourself of a reward from time to time. Some students even find that watching a movie before test day is a nice mental break. However, you don’t want to watch a movie that will be too intense or cause a lot of reflection afterward. TV shows or movies with crashing cars, dying soldiers, or confusing love triangles may linger in your mind the day after you watch it, so leave those selections out. If you’re going to watch TV, pick something mindless. 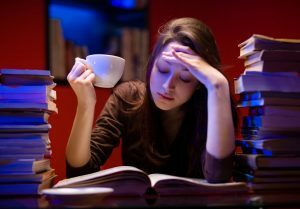 A lot of students make the mistake of loading up on coffee and Red Bull right before heading into the USMLE Step 1 exam to stay as alert as humanly possible. Big mistake! Some students might think that caffeine on exam day might hinder their performance, so they avoid it on the big day. Another mistake! The truth is, you should take it easy on the caffeine altogether. 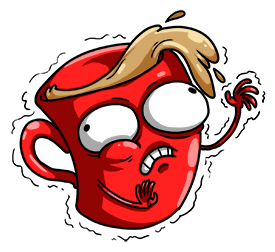 Try to taper off your caffeine intake—or at least maintain your average—in the days leading up to the exam to avoid any symptoms associated with caffeine withdrawal. And whatever you do, don’t increase your intake on the day of. You shouldn’t be making any drastic changes to your diet before the exam. Another caffeine tip: avoid it after 4pm so that it doesn’t interfere with your sleep regimen. • Where will you park? • Where will you put your bags? • How long does it taketo get there? • What is the temperature of the room? Ponder anything you can think of that will put your mind at ease. Don’t forget to plan your exam break time as well. Be sure to pack food. We recommend a complex carb to start your day and provide longer lasting energy; bananas and oranges offer lots of electrolytes and are convenient to carry. A snack bar is always an easy option with a nice sugar boost to help you cross the finish line. Lastly, know where the bathrooms are. You don’t want to be distracted with a potty break in the middle of the exam. It might seem like the USMLE Step 1 is the last day of your future, but it’s not. Just because it’s difficult to see over this hurdle, doesn’t mean you shouldn’t start plans for post-exam time. It’s an easy way to keep yourself motivated: plan something fun to do after the exam. You’ll need a reward, and this can be a nice refresher from the monotony of studying. Start planning something fun with a group of friends to keep the finish line in focus. • Plan a vacation with friends. • Make reservations at a nice restaurant. • Throw a party for you and your classmates. As soon as that exam is done, you’ll be glad you planned this far ahead! Exam day is hard enough. You already have too many things to worry about. So don’t be your own worst enemy. Try to recognize and correct as many little mistakes like these as possible, so you’ll calm and confident come exam day. Keep your head held high and your mind clear, and you’re going to do just fine! 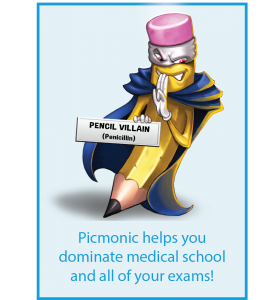 Picmonic helps you remember everything you’re learning to make you exam day even easier! Check out our free trial!